About "Make Rojava Green Again"
consciousness, pushing to build up an ecological society. cooperative tree nursery as part of the Internationalist Academy. 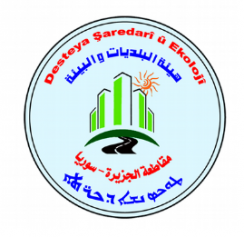 Self-administration, including sharing of knowledge between activists, scientists and experts with committees and structures in Rojava, developing a long-term perspective for an ecological Northern Syria Federation. 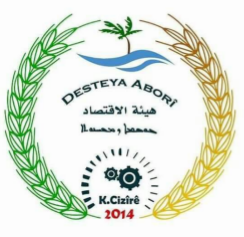 reforestation of the Hayaka natural reserve, near the city of Derik, in Cizire Canton. communes, institutions, and structures of the population. People who are alienated from nature are alienated from themselves, and are self-destructive. No system has shown this relationship more clearly than capitalist modernity; environmental destruction and ecological crises go hand in hand with oppression and exploitation of people. The feckless mentality of maximum profit has brought our planet close to the edge of the abyss, and left humanity in a whirlwind of war, hunger, and social crisis. Because of this, developing an ecological society is a pillar of the Rojava Revolution, alongside women’s liberation and a total democratization of all parts of life. This is about more than just protecting nature by limiting damage to it; it is about recreating the balance between people and nature. It is about a “renewed, conscious and enlighted unification towards a natural, organic society” (Abdullah Öcalan). The results of the capitalist mentality and state violence against society and the environment are clearly visible in Rojava; the Baath regime was and remains uninterested in an ecological society throughout all of Syria. The regime always focused on maximum resource exploitation and high agricultural production rate at the expense of environmental protection, especially in colonized West Kurdistan. Systematic deforestation made monoculture possible: wheat in Cizire Canton, olives in Afrin, and a mixture of both in Kobani have altered the landscape of Rojava. For several decades it was forbidden to plant trees and vegetables, and the population was encouraged by repressive politics and deliberate underdeveloppment of the region to migrate as cheap labour to nearby cities like Aleppo, Raqqa and Homs. The attempts of the Turkish and Syrian regimes to strangle the revolution in Rojava by military, political and economic attacks, the war against ISIS, and the embargo, supported by the South Kurdish KDP, are creating difficult circumstances for ecological projects in Rojava. Although there are many current projects, including reforestation, creation of natural reserves and environmentally-friendly waste disposal facilities, the infrastructure of the Democratic Self-Administration is still in a difficult material situation, making these goals harder to achieve. The projects of most regional committees are either just beginning or in the planning stage. The ecological revolution, within the larger revolution, is still in its infancy. It lacks environmental consciousness among the population, expert knowledge, necessary technology, and a connection to solidarity from abroad. Make Rojava Green Again cooperates with the Economic Committee of Rojava. 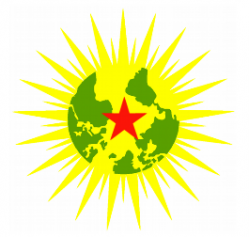 The Internationalist Commune is our organizational structure within the self-administration in Rojava. Make Rojava Green Again is organized in partnership with the Ecological Committee of Rojava. Contribute to make this happen! These are our goals – we need you to act to make them a reality!